Lol. 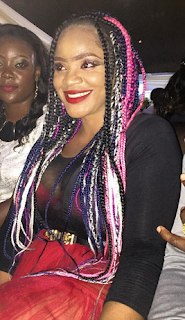 Uche Ogbodo is Queen of the damned? Rainbow Hairstyle ~ CK Jacob: Nigerian Fiction And Lifestyle Blog. The color looks good on her but it's a no no for me.